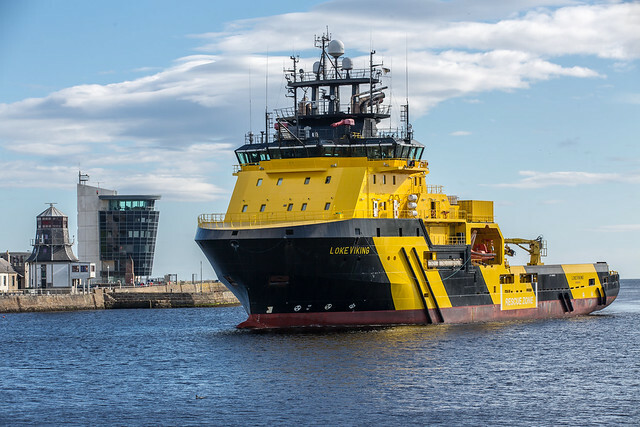 The vessels Loke Viking, by Viking Supply Ships, and Havila Jupiter and Havila Venus by Havila Shipping, will be responsible for moving the WilPhoenix offshore rig. Westshore shipbrokers data shows all three vessels have been hired on a two-week spot contract with the dayrate of 18500 pounds. The Havila duo was recently responsible for the COSL Pioneer rig move, while the Loke Viking most recently serviced the Rowan Stavanger jack-up for Repsol Sinopec in the UK North Sea, according to VesselsValue. The rig being moved now is Awilco Drilling’s WilPhoenix which in the fourth quarter last year operated at Shell’s Kingfisher location in the UK North Sea. The rig is on contract will Shell until approximately September 2019 with Shell having multiple options to extend the contract further. WilPhoenix contract with Shell started in September 2018 and is for 19 firm P&A wells and 10 options for P&A and exploration drilling wells. The contract dayrate $116,200 per day, changing to a market-indexed rate at 600-day point. The WilPhoenix is one of the two 3rd gen. semi-subs owned by Awilco and is the only rig generating revenue, as the WilHunter sem-sub has been stacked in Scotland for a long time with no work prospects. Worth noting, Awilco last year raised eyebrows in the offshore industry with a bold move of ordering a newbuild harsh environment semi-submersible drilling rigs from Keppel, something not seen in four years after the oil prices collapsed in 2014. Come March 2019, Awilco ordered another newbuild of the same type from Keppel. The two rigs are slated for delivery in 2021 and 2022, respectively, with Awilco having options to order two more units. The driller, which has for years operated on the UK shelf, has set its sights on the Norwegian market with the two newbuilds. Posted on April 12, 2019 with tags COSL Pioneer, Havila Jupiter, havila venus, Loke Viking, Rowan Viking, Shell, WilPhoenix. Oslo-listed offshore vessel operator DOF has won a contract for one of its anchor handlers in New Zealand. Shell recorded a 30% rise in quarterly profit boosted by its Integrated Gas and Upstream units. Swedish offshore vessel owner Viking Supply Ships is selling three platform supply vessels to unnamed buyers.